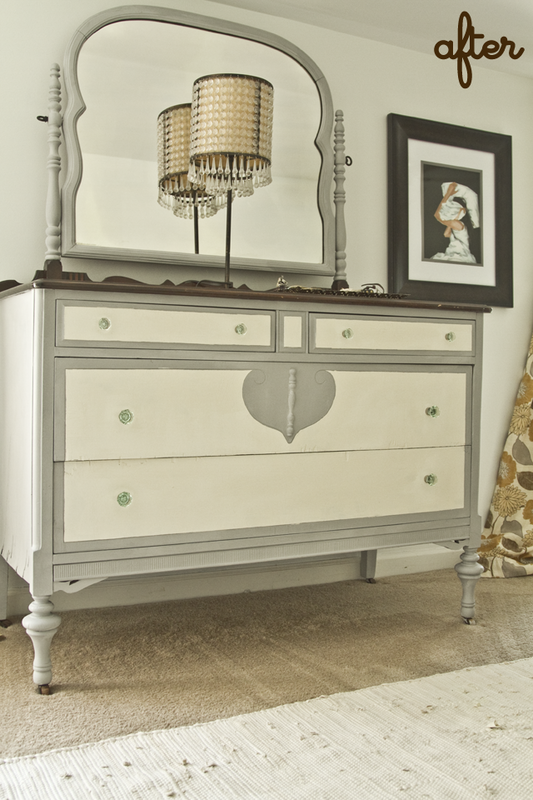 Black and White and Loved All Over: Stuff I Made: Painted Dresser. Stuff I Made: Painted Dresser. This weekend I used Annie Sloan's Chalk Paint to doll up my (really) old dresser, whose lines I've always loved but not so much the finish peeling off in strips (thanks to Tess for helping that along). I'm pretty wild about the results, and it only took me three or four hours to complete. Inspiration found here. So much more to paint, so little time. Again I used the Old White and Paris Gray colors, but this time I didn't distress it at all. This old gal is distressed enough as is. Gorgeous! I love the color combo! Looks so, so good! You have totally inspired me to paint our bedroom set. 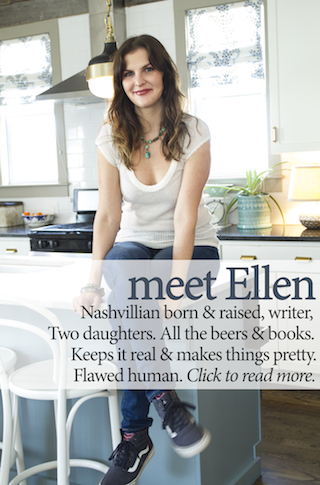 totally just found your blog by chance. 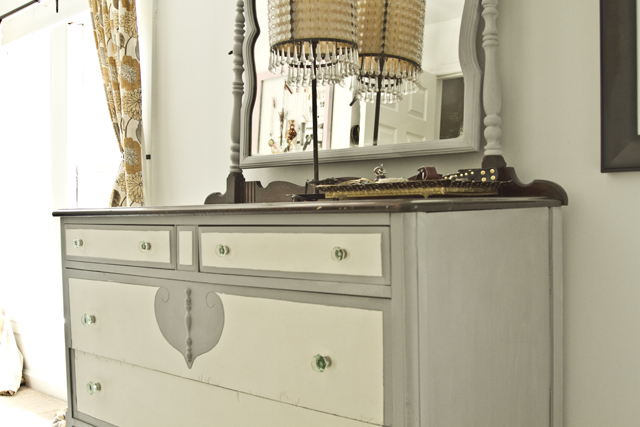 Love the color of this dresser. This is exactly the color I want to repaint old furniture from pier 1 in our guest room. LOVE IT! 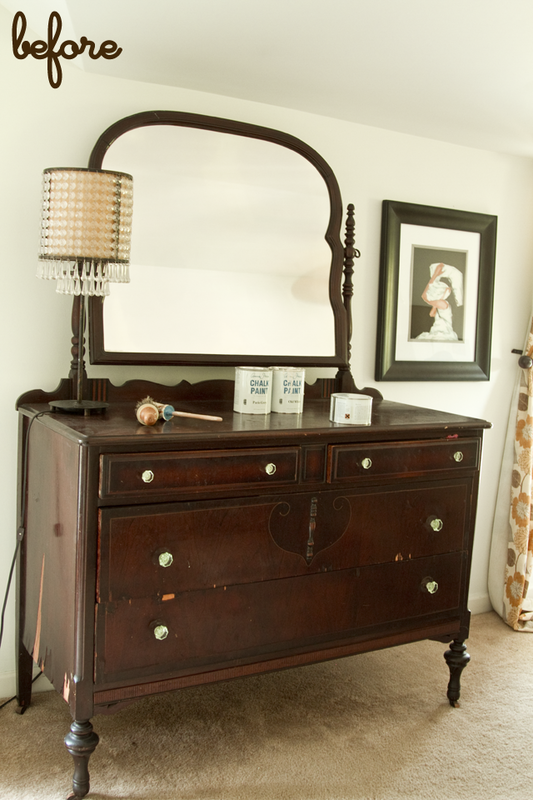 I love how the heart shape on the dresser, which was barely noticeable before, really pops now!